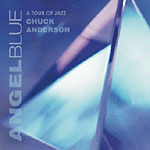 Chuck Anderson's guitar artistry is a cut above the jazz standard. The quality of his execution is so fine that on first hearing, it is literally stunning. 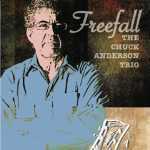 His recent CD, Freefall (Dreambox Media, 2010) consists of musical gemsall-original compositions, woven into a tapestry worthy of a master classical guitarist. Yet it is all straight-ahead mainstream jazz played on a Gibson L5 electric guitar in a trio setting. 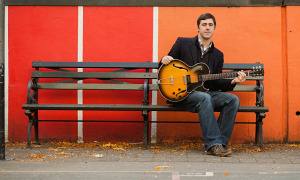 The question arises as to why he is not better known within the lineage of jazz guitarists that includes Wes Montgomery, Herb Ellis, Jimmy Bruno, and Pat Martino. among others. One reason may be his exceptionally high standards, so that his recording and live appearances have been especially selective over the years. 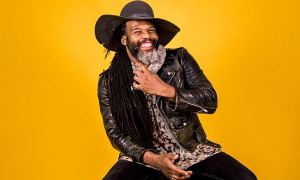 The other reason, which emerged in this interview, was a period of two decades where he gave up performing due to the theft of his treasured Gibson guitar and a bout with obstructive sleep apnea that interfered with his daily functioning. 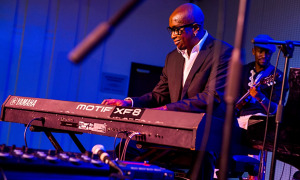 Having received a replica of his original instrument constructed by guitar maker Eric Schulte, and having been successfully diagnosed and treated for his sleep disorder, Anderson has reemerged into the performance limelight and is engaged in a series of live performances and recording dates that are attracting the attention of critics and jazz lovers. In addition, for over four decades, he has been composing and teaching prolifically, even during the time he stopped performing, and he now has a very active guitar website as well. All About Jazz: For a warm-up, we'll use the infamous desert island question. Which recordings would you take to that desert island? 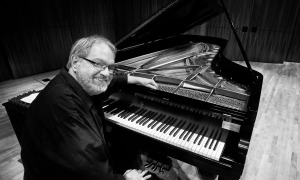 Chuck Anderson: Well, the first one would have to be something by pianist Bill Evans, who is probably my all time favorite jazz musician. Beyond that, most of the Wes Montgomery recordings, particularly The Incredible Jazz Guitar of Wes Montgomery (Riverside, 1960) and Boss Guitar (Riverside, 1963). And then, going in a completely different direction, recordings of Ravel and Debussy, Stravinsky's Firebird Suite, and Samuel Barber's Adagio for Strings. AAJ: We know that Stravinsky, Ravel, and Debussy had a major influence on modern jazz. CA: Exactly. I would have to say that modern jazz is primarily an amalgam of American blues crossed over with French impressionist music of the 20th Century. AAJ: Give us a history of your early life experiences, especially your first exposures to music and jazz. CA: The truth is that as a youngster, I had no interest in music. I was an athlete, a basketball player, and everyone thought I would turn out to be an NBA player because I was six feet tall before I was twelve years old. However, from that point on, I stopped growing completely, so the NBA was no longer an option. My introduction to music was purely coincidental. I lived in Radnor, PA, and up to age 14, had zero involvement in music. But at age 14, a neighbor invited my family over to a summer holiday picnic and a very avid, keenly interested amateur guitarist was there playing his new guitar. I went over to get a hamburger, and when he saw me, for some reason he said, "Are you interested in guitar?" I said, "No." And he said, "I just got this new guitar, but my old guitar is up in the attic. Why don't I go upstairs and get it and you can take it home and try it." I wanted to decline, but my mother said that it would be "rude and impolite" to turn down this generous offer, So I reluctantly took the guitar home, put it under my bed and forgot about it. Then one day, I turned my ankle playing basketball. Since I had to wait for the swelling to go down, had nothing to do and was bored, I got the guitar out from under the bed. I looked at a note the neighbor had written and strummed one E minor chord. I thought it was the greatest thing I ever heard and from that point on, my basketball career went straight down the tubes, and my music career went straight up. AAJ: That's an incredible story. Pure chance, but you immediately were hooked. CA: Yes, and I've never known whether my musical career would ever have happened without that picnic or that guy, or turning my ankle. It created all kinds of havoc on my high school basketball team when I quit the team during my junior year. Sports became only a couch activity, and from that point on I was totally devoted to music. One chord, and that was it. I started practicing like a maniac. AAJ: Weren't there any musical influences in your home as a kid? Most musicians I've interviewed were exposed to music at a very young age. CA: No, there weren't any, certainly no active music playing in the household. None of my siblings played, and neither parent did, although many years before then, my dad had been a clarinetist. He had gone to the same school as Gene Krupa and all the big band guys in Chicago at Austin High. My father was a big band nut, and he idolized Benny Goodman. So every now and then, I would hear some Benny Goodman records but that doesn't explain my fascination with the guitar. AAJ: When you first started playing, were you self-taught or did you get a teacher? CA: I got a teacher immediately after I played that first chord. Within a week, I asked for lessons, and my parents had me all signed up. AAJ: Do you recall the name of the teacher? CA: His name was Al Colucci. 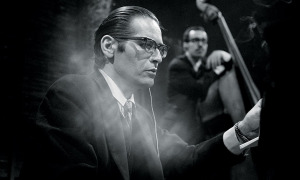 AAJ: Was the focus on jazz, classical, or both? CA: At that time, the guitar was not the popular instrument that it is now. The most common instruments in the music stores then were the trumpet and accordion. Guitar was pretty much brand new. Colucci was an old school, traditional guitarist. So the lessons were mostly on learning to read music. It wasn't focused to the point where it had a specialization like blues, rock 'n roll or jazz. I remember primarily doing Mel Bay method books. I don't think they've changed since the day I started. AAJ: Well, Vic Juris has done some specialized jazz books for Mel Bay recently. CA: Yes. Bill Bay, the son of Mel, is now the head honcho there. They have a record label, I believe, and some of the jazz players are writing books for them as well. I've had offers to write for companies like Mel Bay, but I could never negotiate the royalty rates I wanted. So eventually, I formed my own publishing company. 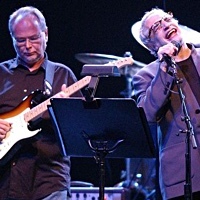 So getting back to Al Colucci, I studied with him from age 14-16, and then he sent me to Dennis Sandole, who, of course, was the guru teacher of John Coltrane, Pat Martino and others. When I went for my audition with Sandole, it was painfully obvious that I wasn't ready to start with him, and he sent me to one of his students, Joe Federico. I studied with Joe from ages 16-19. 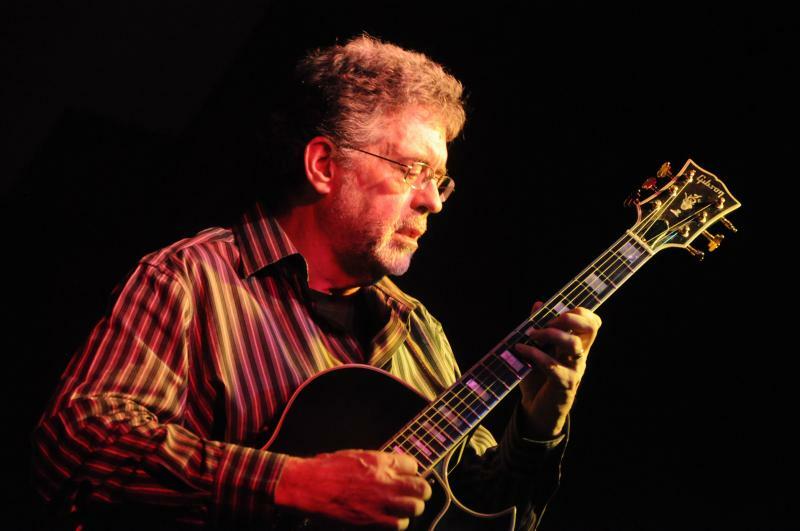 There were two premiere jazz guitar teachers in Philadelphia. One was Joe Sgro, and the other was Dennis Sandole. Strangely enough, I got to Sandole because I couldn't spell Sgro to look him up in the phone book. AAJ: A lot of your life has been determined by chance events. CA: That's probably true. Malcolm Gladwell, author of Blink and The Tipping Point, argues that many events of our lives are determined by serendipitous events.